For those suffering from terminal illnesses, Daughters of Miriam Center/The Gallen Institute provides hospice care. A comprehensive plan of care is created, focused on easing the physical, emotional and spiritual pain that often accompanies a terminal illness, while making no attempt to hasten death or prolong life. 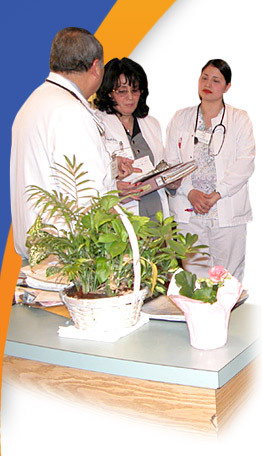 Palliative treatment to reduce or eliminate symptoms and improve the quality of life is determined by the hospice team in consultation with the attending physician. 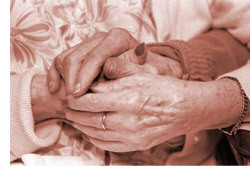 Hospice care is not only for the patient but for the caregiver as well. Hospice care addresses the physical, emotional, and spiritual needs of residents and their families through the utilization of a team-oriented holistic approach with the primary objective to respect the resident’s wishes. By providing comfort, compassion, resources and respite, hospice care helps families make the most of their time together. Hospice care at Daughters of Miriam Center is 24 hours and is covered by Medicare, Medicaid and most private insurance. For more information contact the director of nursing by clicking the link, or by calling 973-253-5230.